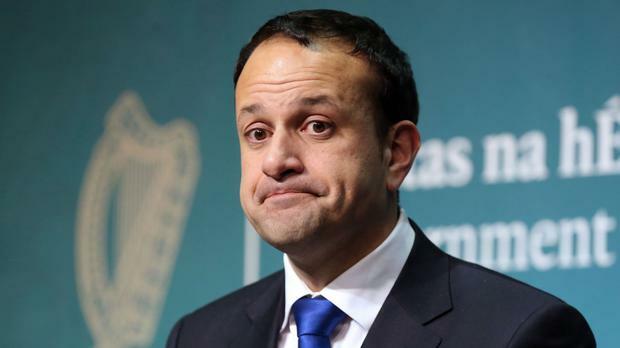 The need for a Brexit bailout for farmers could affect rural broadband roll-out plans, Taoiseach Leo Varadkar has warned. Mr Varadkar - who has already conceded the final broadband bill "will be many multiples" of the original €500m estimate - did not comment when asked by TDs whether the final cost could be up to €3bn. He also notably failed to commit to proceeding with the broadband project for half-a-million rural homes, farms and businesses, saying nothing could be guaranteed until contracts are actually signed. The Taoiseach told the Dáil finance committee he was awaiting the Brexit outcome before publicising new "indicative cost figures" to deliver broadband. There is already just one bidder left in the process and Sinn Féin finance spokesman Pearse Doherty warned that this bidder could "have the country over a barrel" with few real choices left. Under strong questioning from Mr Doherty and Fianna Fáil's Barry Cowen, Mr Varadkar said he intended to tell the Opposition about the new broadband costings before a decision was made by Government. He said a bad Brexit outcome could involve him returning to the Dáil in late March or early April, seeking a substantial supplementary estimate to back farming and food processing to protect mainly rural jobs. "So, I'd have to bear that in mind, coming to the Oireachtas asking to vote more money, you'd have to know what other bills are coming," the Taoiseach said. He hoped a decision could be made before Easter, which this year falls on April 21. The Sinn Féin spokesman argued this was yet another example of a huge cost over-run. The Taoiseach countered that more lucrative customers were being taken up by private-­sector providers, leaving less profitable areas. Mr Varadkar said the higher costs were being factored into account by a new cost-benefit analysis. But he said even a negative finding here might not derail it. The provision of rural broadband to areas not commercially served has been dogged by controversy. Last October, then communications minister Denis Naughten had to resign after controversy over meetings with the principal of the final bidding consortium, David McCourt. Meanwhile, two new MEPs who will be put into "cold storage" if Brexit is delayed will be allowed continue in another elected office such as being a TD, it has emerged. Under existing laws, politicians cannot have a dual mandate - but the potential that the UK may still be in the EU after the European elections in May has raised the need for an exception. Ireland is to gain two seats in the European Parliament as a result of the UK's exit - but they cannot be taken up until Brexit formally kicks in. As a result, the final seat winners in the Dublin and Ireland South constituencies may not be able to take up their positions this summer. Minister of State John Paul Phelan has now indicated that if either of these candidates already holds public office, they will be allowed to continue in their existing role. The move will be carefully watched by a number of potential candidates, including Fine Gael's Frances Fitzgerald and Fianna Fáil's Billy Kelleher, who both occupy Dáil seats. A series of questions remains about how Ireland will deal with the elected MEPs who will not be able to take up office, including whether they will be paid. British Prime Minister Theresa May's effective deputy David Lidington visited Dublin yesterday for a meeting which Tánaiste Simon Coveney insisted did not amount to bilateral negotiations. While Brexit was top of the agenda, Mr Coveney said there was little he could say that Mr Lidington had not heard before. The meeting lasted around one hour and did include a "detailed exchange on the political situation in Westminster". A spokesman for Mr Coveney said he "made clear the EU position that the Withdrawal Agreement would not be reopened and that there is only one EU negotiator, Michel Barnier in Brussels".